Our post season meeting is set for this Monday, December 3rd, 6:00PM at Mile26, 1450 E. Thompson Blvd. All participating schools should send a representative from their school. The purpose of this meeting is to recap the 2018 season (what worked well and what didn’t), and to prepare for the 2019 season. If you have items that you would like added to the agenda, please send them to mjhammel@roadrunner.com by Sunday, December 2nd. 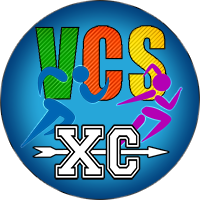 Championship T-Shirts and Hoodies VCSXC Championship t-shirts and hoodies will be available this Friday!!!! They will be located at the Mile26 tent. T-shirts will be $10 and Hoodies will be $20. Limited quantities!